Hassan Karimzadeh has been a prolific visual artist; Iranian graphic designer, cartoonist and director of art for many years. 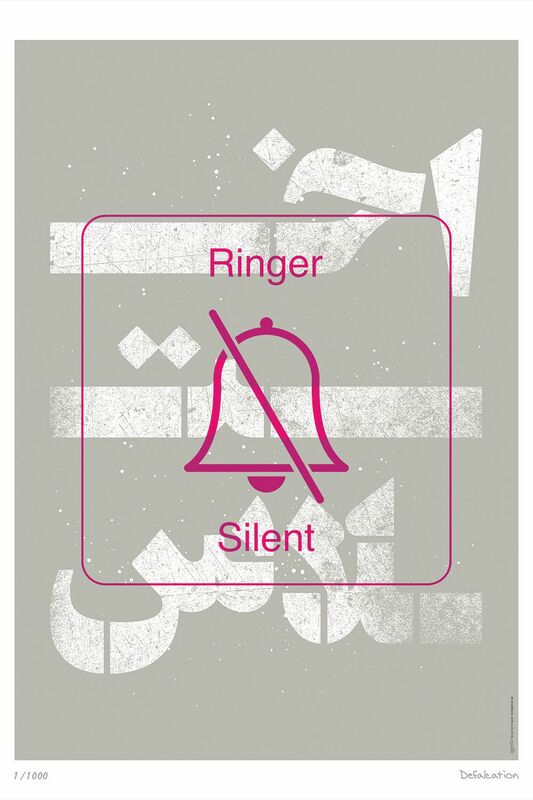 His work is featured as our second Poster Monday spot of the day with his poster “Defalcation; Ringer silent!” Hassan has achieved numerous titles, honors and important prizes during his artistic career, such as: Title of the “F.U.N” (Friend of United Nations) from United Nations (2012, Swiss), 1st. prizes of “World Press Cartoon” International contest (in two years: 2008 & 2010, Portugal), “GOLD” prize of logo designing from International Institute of Visual Communication, “Graphis” (2012, USA), the “Art of Book design” (2015 Iran), title of the “Top Ten” designers from the COW (Center of the World) international festival (2016 Ukraine). The poster “Defalcation; Ringer silent!” refers to underground corruption & financial mismanagement of the statesman and their relatives. We know that according to written or unwritten laws in every part of the world, any misuse of government & public property is “crime”. According to the statistics of international and credible financial institutions, the number and quality of embezzlement has grown year by year. Meanwhile, in the Americas, Asia, the Pacific, Europe and Africa, respectively; the highest levels of defalcation and financial corruption have been detected and recorded. The poster reminds us of the unofficial verdict of “silence”. The poster background typography is a Farsi word for embezzlement (Ekhtelass). Visit Hassan’s official web site account to find more about his work. Also follow him at instagram account. If you would like to see your work featured on our site visit our submissions page and send us your work.